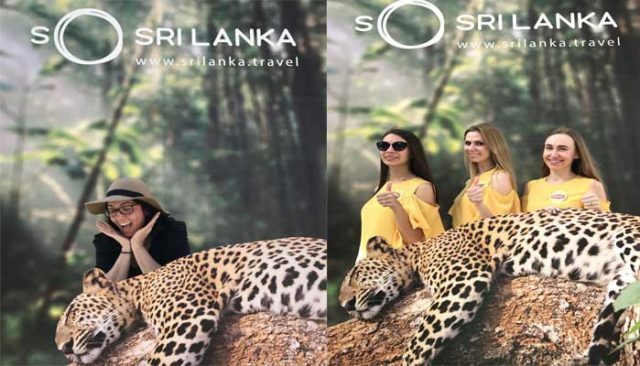 Sri Lanka showcased the best of its offerings at the Taste of Dubai, an annual three-day extravaganza of food, drink and music at the hottest restaurants, with world class celebrity chefs in the cosmopolitan city of Dubai. Back for the 12th year at the Dubai Media City Ampitheatre, the three-day extravaganza includes appearances from celebrity chefs, musical performances and sampling of dishes from around the world and best of the city top-notch Michelin restaurants. 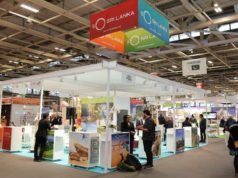 The Sri Lanka Tourism Promotion Bureau took part at this year’s Taste of Dubai for the third consecutive year. The décor of the pavilion highlighted Sri Lanka’s famed attractions and special stall was designed to display and promote Sri Lankan cuisines. Consul General for Sri Lanka Mission in Dubai participated at the pavilion for the official opening on the 7th of March. Ceylon tea and its many popular flavours and variants were distributed to visitors at the stall. 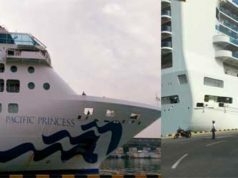 This Festival is a popular consumer event held annually in Dubai for the past 11 years. The Taste of Dubai event is attended by over 160,000 visitors, 172 Fine Dining restaurants and 56 celebrity chefs over the past 10 years. 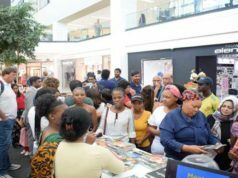 The Festival is publicized through a campaign consisted of digital, TV, Outdoor, radio, social media, SMS campaign, print advertising and editorial. 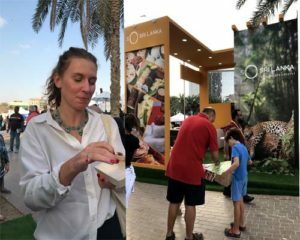 Taste of Dubai not only brings restaurants, food and drink supplies together, but also a line-up of innovative and interactive programmes dedicated to cooking and eating. Taste Festivals have set a new benchmark for food and drink events worldwide. In 2015 alone such 22 Taste Festivals had taken place across the world, all born from the flagship event, Taste of London. The Taste festivals consistently deliver a similar profile of visitor’s year on year. There were 96 Nationalities visited the festival last year out of which 89% were based in Dubai, 5% were from Abu Dhabi, 3% Sharjah, Others were from the other Emirates, London, Saudi Arabia and Switzerland. From visitors 55% were female and 45% were male and 75% were from age group 25-54. The highlight of the foodie calendar, Taste of Dubai showcases the latest, greatest and most exciting restaurants from the region. Festival goers can expect to be served taster-size signature dishes, whilst world-class chefs cook up a storm live on-stage and, as always, there will be many opportunities to get hands-on with interactive masterclasses and shop from an array of local and international food & drink vendors. Taste represents foodie heaven, stunning food prepared by the city’s greatest restaurants, high-profile chefs, superb drink and outstanding entertainment, all in one stunning location.